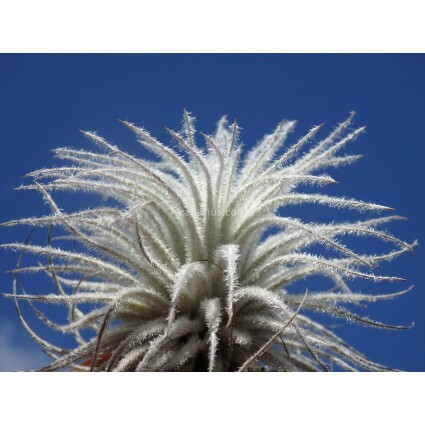 This Tillandsia is a living snowflake, with spectacular white trichomes (hairs). 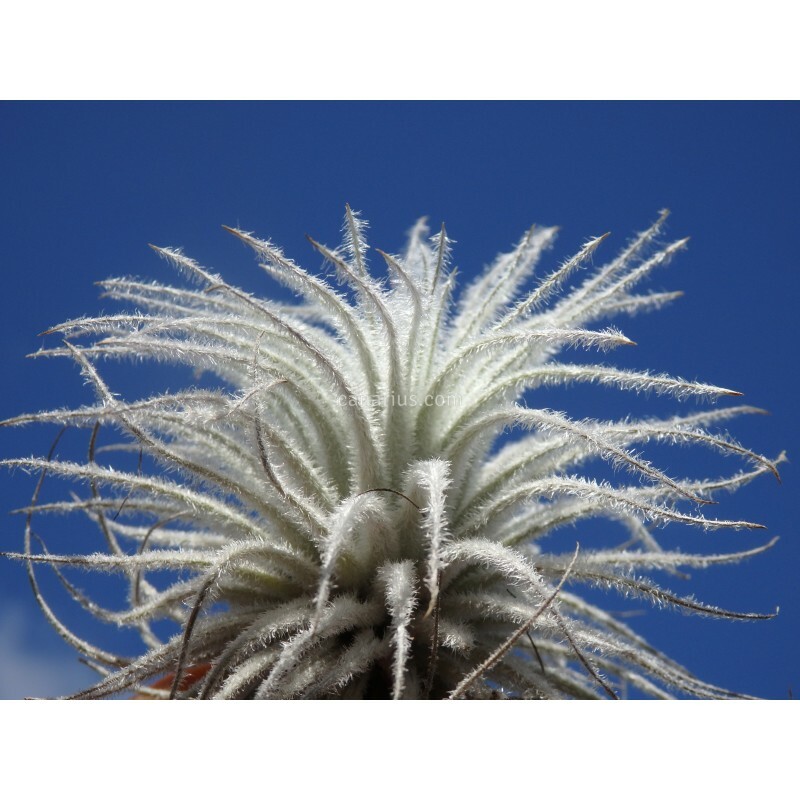 Native to Ecuador and Peru, at elevations of 1000-2700 m, coinciding with the cloud level. It typically grows in large, populations on rock outcroppings and cliff face with cacti. 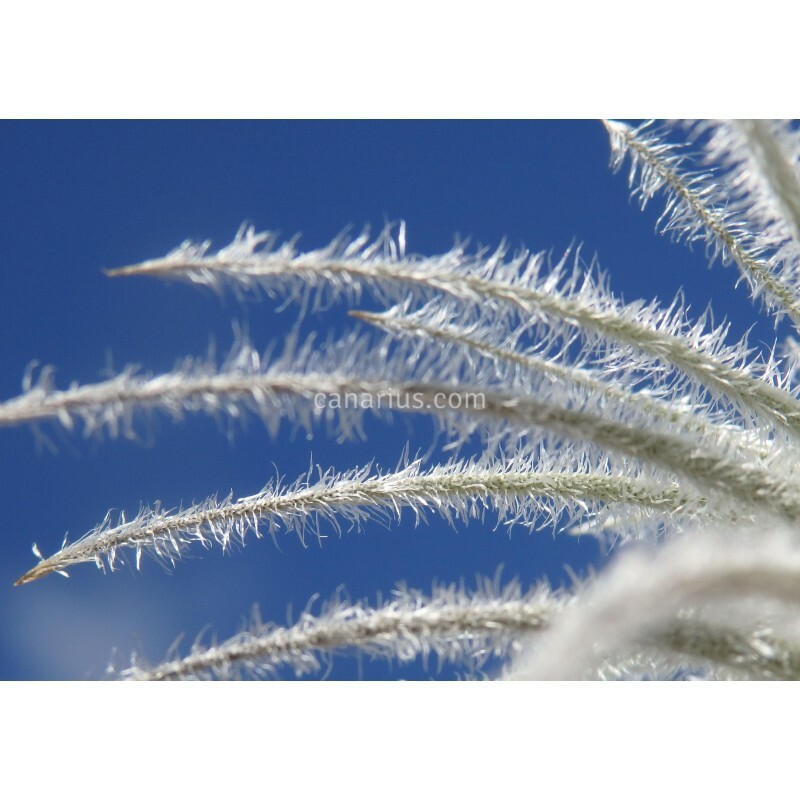 'Snow' is a selection with even larger trichomes.